For most Americans, debt has become an unfortunate part of life. From student loans to credit cards, debt is more common today than ever before. Americans now have almost $1.5 trillion dollars in student loans to repay, with the average college graduate in 2016 having approximately $37,172 in student loan debt. Add that to the average credit card debt of over $15,000 per American household, and the debt trap is getting bigger every year. But thankfully, as a generation, we are starting to conquer it and in fact, 39% of millennials are hoping to pay off their debts in 2018, according to a recent Fannie Mae survey. If debt is a fundamental part of today’s financial landscape, then why have we previously been advised to steer clear of it? A simple explanation is that there are different types of debt. Good debt can help you build long-term wealth and achieve your future goals. Bad debt can drain your bank account and ruin your credit. So how do you identify which debt is good and which debt is bad? 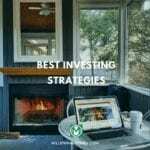 The key is being able to think about some loans as investments in your future that will generate a net-positive return on investment (ROI) in the future. I know it’s hard to imagine that debt can help generate income in the long run, but that’s a common misconception. 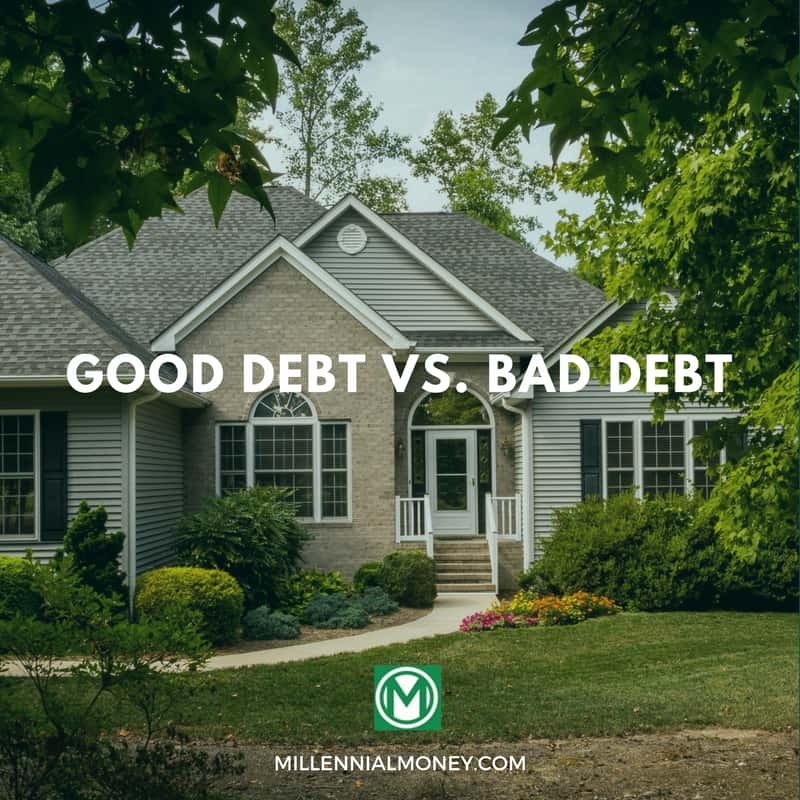 A way to determine if debt is good, is to ask yourself if you’re using it to finance something that will appreciate (aka go up in value) over time and if there is an opportunity to get returns on the money you’re planning to spend. Let’s look at some of the four most popular types of debt to determine if they are good or bad. Mortgage loans are an excellent example of good debt if you use them responsibly. When you take out a mortgage loan, you’re not only putting a roof over your head, but you’re getting tax deductions and a financial asset that is likely to appreciate over time. Also, with mortgage programs offering down payments as low as 3%, funding a mortgage is more accessible than ever. While mortgages are long-term loans, by the time you pay off the mortgage, your home could be worth more than what you initially paid for it. Also, making consistent, on-time payments can help improve your credit score. But mortgages can also become bad debt if you buy a home that is more expensive than you can afford and ultimately have to default on your mortgage payments. A good rule of thumb is to take out a mortgage that you can pay with 25% – 35% or less of your after-tax take home pay. 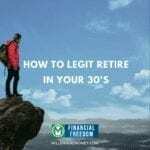 This will give you some flexibility and ensure that you’re not “house poor” because you are spending too much money on your monthly mortgage. Also, when buying any home there are additional costs above your mortgage payment that should be factored into your calculation, like taxes, repairs, and any assessments. The best way to ensure that mortgage debt is good debt is by making sure you can afford your monthly mortgage payments. Student loans can be another example of good debt – with some caveats. As scary as student loan payments may seem, there is still a positive correlation between a college degree and future earnings. Having a degree immediately increases your value in the work field and presents opportunities that would otherwise be unavailable. Student loans also offer low-interest rates, while other types of debt are notorious for having crippling interest rates. This is the type of good debt that acts as an investment in your future. But that also doesn’t mean that all student loans are worth it. The value of your student loans can be determined by other factors, like where you go to school, what type of degree you get, and what you do with your degree when you graduate. On the other hand, bad debt is something to be avoided. If you’re borrowing money for something that is a depreciating asset, then this debt could be a bad decision. The average American pays around $500 a month on a car payment, which in most cases is bad debt because a car is a depreciating asset (meaning it goes down in value over time). While it might be nice to be driving a nice new car, it’s a much better financial decision to buy a used car with cash if you can. Or think about if you really even need a car – it’s never been easier to get around using public transportation and ridesharing, which might end up being a lot cheaper than owning a car in the first place. Why saddle yourself with $500 a month to pay for the next 6-7 years, when you could buy a less expensive car and use that money to invest in stocks or real estate that can go up in value? In almost all cases car loan debt is bad debt. Credit card debt is arguably the worst form of debt because the interest percentage is so high. The average credit card interest rate is over 15%, meaning you pay the bank 15% every month you don’t pay your credit card balance in full. It’s easy to swipe your card for every single purchase, but credit cards are rarely used to pay for something that will have future financial returns. Even a small balance on your credit card can accumulate into a massive outstanding debt due to high-interest rates and late fees for missed payments. If you don’t pay your monthly bill in full, these interest payments can quickly drag you into debt and end up taking years to pay off. Bad debt is avoidable by asking yourself if the purchase is a good investment. If the answer is no, then going into debt for this purchase is a bad decision. Consider if the debt can set you up for long-term financial security and help you build an asset. Now this doesn’t mean that credit cards are bad, you just need to use the debt responsibly by paying off your full credit card balance each month. 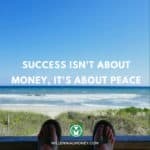 Often whether or not debt is good debt or bad debt depends on how you use it. If you are smart with it, like getting a mortgage to purchase a home, you can buy an asset that could go up in value. On the other hand, if you take out a bunch of debt for something that goes down in value you could find yourself in a big hole. Always be very careful about borrowing money and using credit. 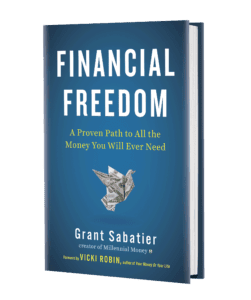 If you’re interested in learning more about one of the best kinds of debt – a mortgage — there are great resources available to you. With as little as 3% down, you could own a home and invest in real estate and in your future self. Learn how here. I’m not a big believer in a category of debt being good or bad. First I try to analyze the purchase decision. Wheather it’s a car, house or education we can figure out if the value received from the purchase is greater than the cost. If it’s not, don’t buy it. Once I’ve decided to make a purchase, I then consider how to finance it. The biggest component of which is the interest rate. For example, if I was buying a car and they were offering 0% financing, I’d consider that good debt. Meaning I’d borrow it and pay it down slowly choosing to invest any extra money rather than apply it to the 0% interest loan. On the other hand, if I had student loans at 8%, I’d consider that bad debt and pay them down as quickly as possible. I think the key to this article comes in the last paragraph, “whether or not debt is good debt or bad debt depends on how you use it”. Some people differentiate good and bad debt based on the interest rate (high interest rate is bad and low interest rate is good). However, if you take out a $30k loan with a 3% interest rate to buy a personal car I would consider that bad debt. On the other hand, if you take out a $80k loan with a 6% interest rate to buy a rental property that creates cash flows every month….. I would take as much of that debt as I can get! Enjoyed the article, good insight about owning a car or not and using ride sharing.